Carnival (carnaval ) is an ancient tradition linked to seasonal and agricultural cycles. Before the times of greenhouses and supermarkets, the harsh, dark winter months posed a serious threat to many families. The arrival of spring, then, heralded new life across the plant and animal kingdoms, signaling an easier existence for us humans too. More than enough cause for celebration. Over the centuries, the festival was adopted by various different civilisations. In ancient Greek mythology, Dionysos is the god of the grape-harvest and wine making (our favourite!). Worshipping Dionysos meant wild wine consumption was not only authorised, but strictly encouraged! Usually celebrated around the spring equinox, it was the perfect excuse for the Greeks to let their hair down. Later, the Romans celebrated Lupercalia to ward off evil spirits and cleanse the city, promoting health and fertility. The 15th day of the second month was known as purified day, or “dies Februates”… hence February! When Rome embraced Christianity, the early Church decided it might be better to keep certain aspects of pagan rituals already practiced, rather than risk a riot by attempting to abolish them altogether. Following the religious fervour of Christmas and Epiphany, this spring festival was a final knees up before the serious business of Lent put paid to the partying. 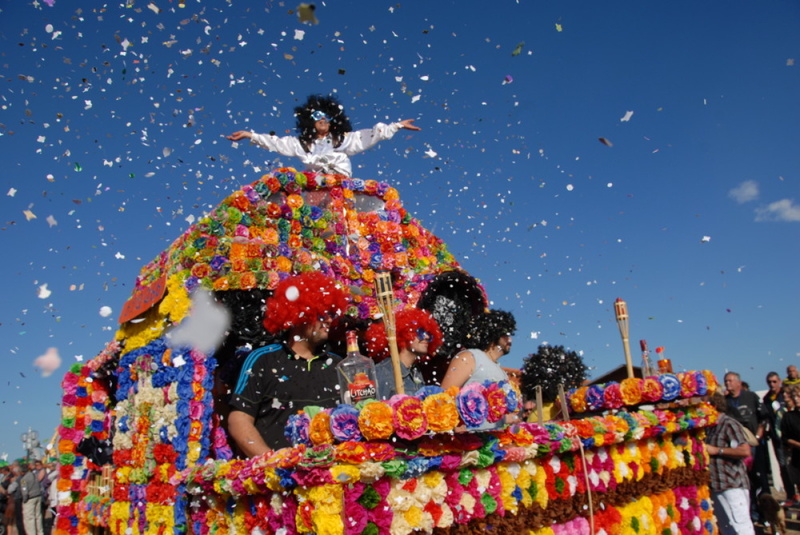 There are different schools of thought on the etymology of carnaval. Because Catholics are not supposed to eat meat during Lent, some believe they called their festival carnevale, “farewell to meat.” Others argue that ‘carrus navels’ the ‘naval car’ or ship, which carried the Gods to the winter feasts is the early inspiration for the carnival float. Either way, as time passed, carnevale in Italy became quite famous; and the practice soon spread to France, Spain, and other Catholic countries in Europe. As the French, Spanish, and Portuguese moved to the Americas and other parts of the world, they took with them their tradition of celebrating carnival.